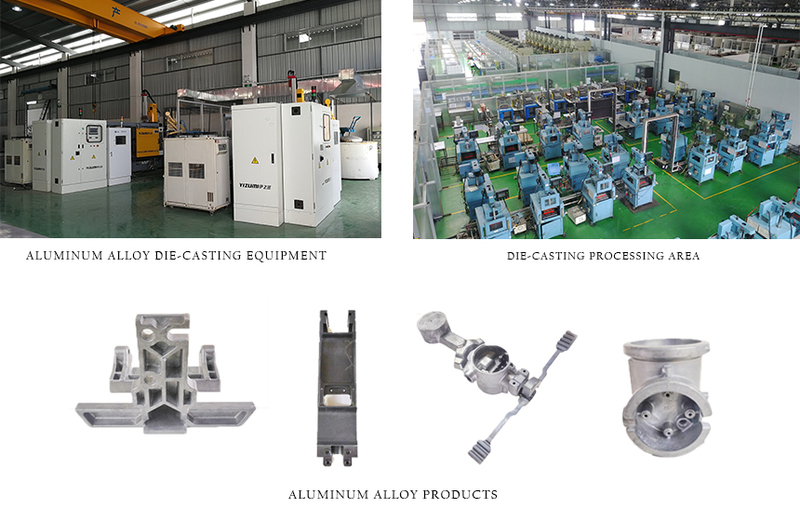 Product categories of Aluminum Die Casting, we are specialized manufacturers from China, Aluminum Die Casting, Cast Aluminum suppliers/factory, wholesale high-quality products of Aluminum Alloy Die Casting Parts R & D and manufacturing, we have the perfect after-sales service and technical support. Look forward to your cooperation! Aluminum Die Casting molten aluminum is the high speed high pressure mold filling, solidification and casting becomes at a high pressure,The process is simple, the product tolerance level is high, can save a lot of machining process and equipment, save the raw materials, now has become an important part of the foundry industry. high product performance, high precision, high toughness, can be used as precision mechanical parts in Aviation, aerospace, automobile, machinery manufacturing, ship and chemical industry.